Public may attend and speak at each and everyone of the above subject to the Council’s Standing Orders. It should also be remembered that on some occasions a scheduled meeting might not take place because of lack of business and by the same token meetings will be called when there is matters to be discussed that might not wait for the next arranged meeting. All of which of course will be duly posted on village notice boards. Parish Council Meetings now commence at 7.00 pm (but please check agenda notice) and as the schedule states are held each month on the 2nd Monday - but no meeting in August. Other meetings that are on the schedule will commence as stated on the calling notices. Generally Finance and Personnel Meetings when held on a Parish Council Meeting night start at 6.30 pm and Planning Meetings similarly would start at 7.00pm. Open Spaces depends what time of year it meets so the start time will appear on the appropriate calling papers. The APM (Annual Parish Meeting) is held in April and is called for by the Chairman of the Council where electors are invited to hear the report on the past year’s activities. That report will be eventually be published as part of the Annual Audit and in the Village Newsletter. The AMPC (Annual Meeting of the Parish Council) is held in May which is the start of the Council’s new year and where the first formal subject matter is the election of Chairman. links for copies of the Village News or the 2005 Parish Plan Questionnaire results or Precept information. Following discussion with the Parish Clerk in May 2013 and pending maintenance to the Parish Council website, BOB created this page to show all Parish Council meetings and latest minutes, including Open Spaces, Planning and Finance and Personnel committee meetings. In due course in conjunction with the Parish Clerk, it was hoped to add the 'missing' historical minutes and indeed the final versions rather than drafts. Agenda will also be added if supplied to me in good time before the meeting and this may be replaced with the minutes when published by the clerk. NB: As of September 2013, Bleadon Parish Council website was irregularly being maintained and updated by Councillor Clive Morris but this ceased in 2014, subsequently a re-designed site was commisioned with some controversy in February2015 and completed in January 2016 that then also received sporadic maintenance (more information below.) However, as comprehensive historic agenda and minutes are not included, BOB will continue to maintain this page for public record and convenience as backup! December 8th 8th and 17th 8th or 1st? The historic minutes have been converted to PDF from the original Word documents to aid access. In due course I hope also to add the 'missing' historical minutes and indeed the final versions rather than drafts (although content is likely to be identical, technically some may still be drafts unless they are the officially adopted by committee). 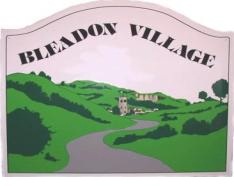 After some silence after May 2013 and as at September 2013, Bleadon Parish Council website was being maintained and updated by Councillor Clive Morris. However, by mid 2014 maintenance seemed to have completely ceased citing difficulties. In late 2014 (after queries by BOB over 20 months continued expenditure on the 'old' (2nd) PC website) BPC decided to commission another (3rd) website development, expending even more public finance and ignoring the potential FREE professional consultancy from BOB via a meeting offered in May 2013 and again in subsequent emails, but never actioned by Clerk. Thus potentially negating instead the FREE and continued offer of permanant use of these website pages for BPC (and saving £££s of Bleadon Public Finance too)! Why, I know not and have not been given a reason or even reply despite asking our Clerk of 26 years (resigned September 2015) and councillors on many occassions........It seems content 'control' was/is a major concern to certain past councillors as well as of course BOB's awkward questions. So, as of January 2016 after paying WebGLU (a company operating in Purn House Farm Business Units) another payment in November 2015 for development completion (£650+ so far and yet £29.99 monthly hosting fees continued to be paid to prior hosting company InTouchCRM during this time) this 'new' website was finally made live! It should be noted that the decision to develop the new (3rd) website was made without any apparent (public released) design, standards or specification by the 2014/15 term councillors and clerk, 5 of whom did not then stand for re-election in May 2015. In April/May 2016 the new novice clerk and a new councillor resigned leaving only 4 councillors left again, but since then another 4 more were co-opted leaving 1 current vacancy. Unsurprising the new website looks very like the old one but during this period has also only been receiving sporadic maintenance via additional payment to their new contractor. (Still no public design specification published). Then as of June/July 2016, another more experienced clerk was appointed after a short period as locum clerk and resumed sending BOB copies of new agenda and minutes for this page which is most welcome. Hopes were raised as apparently, despite continued limited financial resource, the intention is for the clerk to maintain the BPC website in future. Although in 2017 it was still unclear despite BOB asking, exactly what content will be provided, the clerk stating whatever information he should decide! (yet here is the governments Information Commissioners Office Model Publication Scheme guidance and code of practice info from DCLG that BOB shared with BPC). In Spring 2017 the qualified clerk and councillors resign then several months later also the un-qualified replacement also with councillors! The new year of 2018 sees an interim clerk appointed pending permanent advertisements and hopefully (after many years, many clerks and 3 websites) the website will soon be maintained to the required standard without any unecessary costly and confusing duplication of information that is already freely available elsewhere in Bleadon. NB: Late 2018/19 UPDATE: BPC Cllrs. Hemingway and Richardson meet and agree with BOB then get WebGlu assistance to re-design their site to reflect ICO Model Publication Scheme and the Clerk starts to populate new design with policy documents and other BPC relevant information....So why did it take them so long?